Empress E Max is a metal free crown and bridge technology from Vivadent Germany. They help to create anterior crowns which are life like,with great aesthetics, great colour match and they last for a long time. Procera is a product from Nobel Biocare USA, similar results can be obtained from Procera crowns. These crowns contain no metal parts and do not tarnish over time. Therefore they blend beautifully with your natural teeth. If you need a crown for your front tooth, please ask us for a metal free E Max or Procera crown, you will not be disappointed! 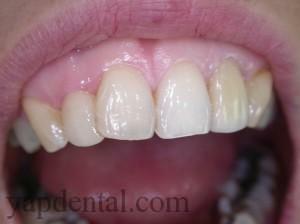 For more information and pictures regarding 'E Max Crowns', please visit our photo gallery at your own leisure.